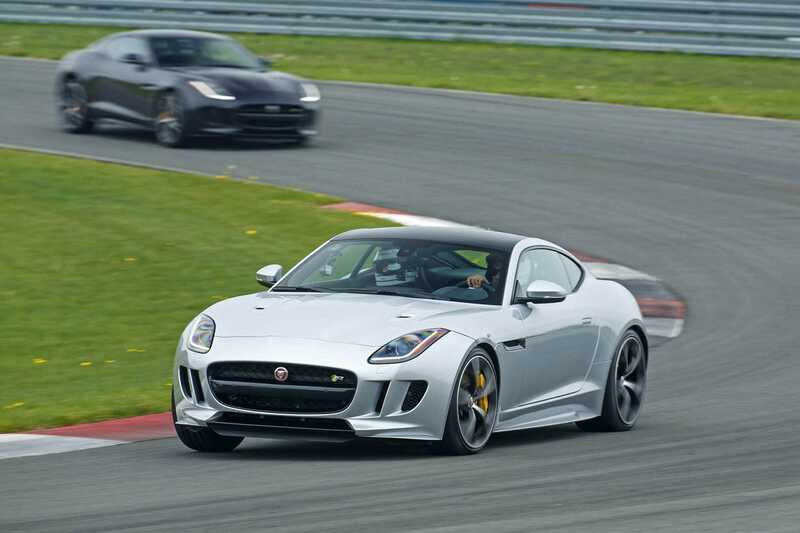 Jaguar cars are always the best looking on the road and the F-Type coupe is no different. When the company announced a manual transmission variant, it’s impossible to stay put because changing gears yourself is a delight in its own way. The V6 S manual variant is powered by a 3.0-liter V6 engine designed to deliver 375 bhp in its rear wheel drive system. With such great looks and amazing interiors, it’s supposed to be the best car out there, especially if you look forward to changing gears yourself. Sadly, the V6 S manual is a big disappointment because of its shape and the placement of the gear shifter. A person who is extremely tall may never be able to have the shifter in his hand while being comfortably able to access the clutch. If the seat is pushed too much to the back, it will take you far away from the gear system and if too close, it’s obviously going to strain the ankles too much that even a thirty-minute drive could look like eternity. Every other aspect of the F-Type car with a V6 engine is so good that we find it hard to complain, but when it doesn’t allow people of all sizes to drive it with ease, it’s going to be bothersome, especially after spending so much money to own it. In comes the Jaguar F-Type V8 AWD with a 5.0 liter supercharged V8 engine that delivers 542 bhp. It is one of the super powered beasts that one could go for, because in automatic drive with a kickass engine on the inside, the car lets you slide past traffic without lifting a foot, literally. After all, with automatic transmission, it is nothing like the manual V6 variant and when combined with the Dynamic mode, the car is gloriously fast, with one of the best engine sounds we have heard in a long time. 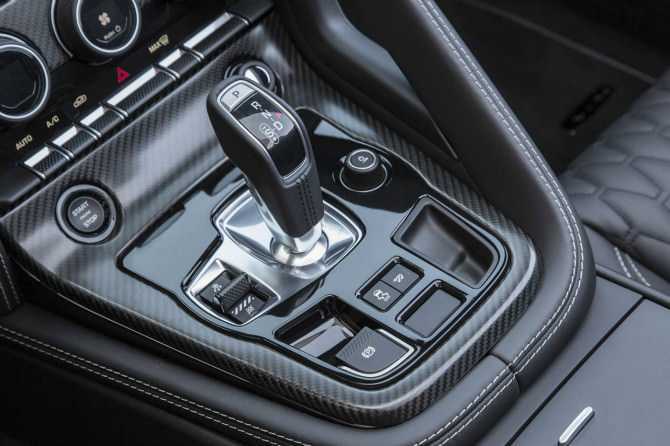 A manual shifter for the powerful V8 engine is out of the question, because the acceleration is too high. It makes it tough to manually move from one gear to another which is why you should consider leaving the job to the car as it does it seamlessly. In terms of style, it is much better because a coupe variant doesn’t look good with the roof on. The F-Type V6 manual is something you should stay away from, but if you can spend some more (say £91,660), the V8 AWD is the one to go for.